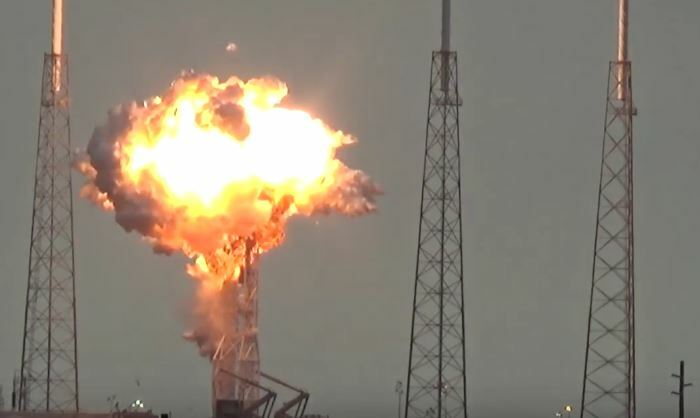 A SpaceX rocket and the satellite it was carrying were destroyed when the rocket unexpectedly blew up on its launch pad in Cape Canaveral at approximately 9:00 am, on Thursday. The satellite, named Amos 6, was meant to bring internet access to Africa, the Middle East, and Europe. The satellite was owned by Spacecom, an Israeli company, and was developed in response to a partnership formed between Facebook and the French Satellite firm Eutelsat Communications. There have been no injuries or deaths reported. Engineers are calling the explosion an anomaly. A static buildup caused the rocket to explode while fueling up in preparation to test-fire its main engines. These tests were part routine preparations for for the launch that was planned for Saturday. NASA reports that the facilities at Cape Canaveral were not damaged and the explosion will not prevent any other planned launches from taking place. Mark Zuckerberg is particularly upset about the failure. Amos-6 was part of a plan to deliver internet from space. The plan was first announced by Zuckerberg via a Facebook post in October of 2015. It would have been the company’s first satellite in orbit and would have brought free internet to rural areas in Africa. The company planned to expand the to a paid service to businesses and well-off individuals over time. Zuckerberg released the following statement, again via a Facebook post, describing his frustration with the explosion. He hopes it is a minor setback and seems determined to achieving the original goal of the project.